Many congratulations to Ida, Champion Karesama Silver Seanymph. 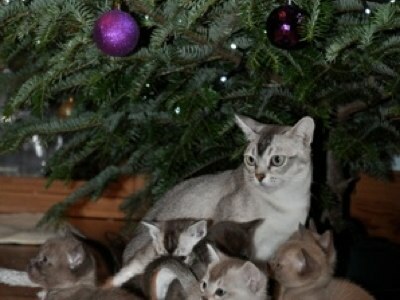 Having successfully raised a beautiful litter of six kittens she returned to the showbench in style. Yesterday she was won the foreign Grand Challenge Certificate, and she was Best Best of Breed Burmilla Adult. She really enjoyed her day out.